The S&P BSE Sensex rose as much as 1.30 per cent or 489 points to hit intraday high of 38,297.70. Domestic equity benchmarks - Sensex and Nifty rebounded from worst day of March led by gains in banking heavyweights like ICICI Bank, HDFC Bank, Kotak Mahindra Bank and State Bank of India. 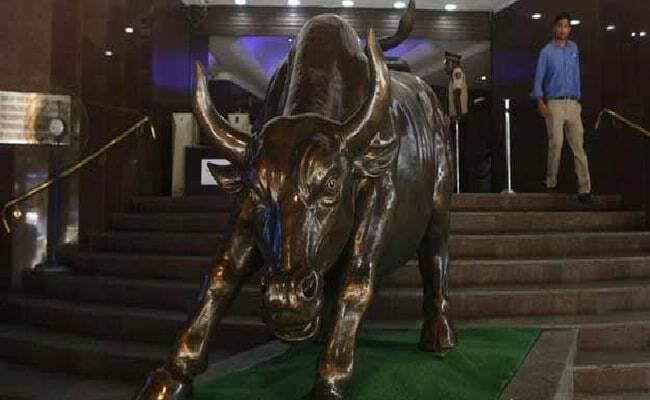 The S&P BSE Sensex rose as much as 1.30 per cent or 489 points to hit intraday high of 38,297.70 and the NSE Nifty 50 Index climbed as much as 1.25 per cent or 142 points to 11,497. In yesterday's session Sensex and Nifty recorded their biggest single-day decline of this month. Investor sentiment improved after Asian shares drifted higher on Tuesday after two days of losses as US 10-year Treasury yields edged up. The Sensex ended 1.12 per cent or 424.50 points higher at 38,233 and the NSE Nifty 50 Index advanced 1.14 per cent or 129 points to 11,483. Seventeen of 19 sector gauges compiled by BSE ended higher led by the S&P BSE Bankex Index's 2.19 per cent gain. Energy, Power, Utilities and Finance Indexes on the BSE also rose between 1.4-2 per cent each. On the flipside, S&P BSE Information Technology Index was top loser, down 0.6 per cent. Mid- and small-cap shares also witnessed buying interest as the S&P BSE MidCap Index rose 1.09 per cent and the S&P BSE SmallCap Index climbed 0.66 per cent. NTPC was top gainer in the Nifty 50 basket of shares, the stock rose 4 per cent to Rs 140.75. State Bank of India, Vedanta, Reliance Industries, Bajaj Finance, Yes Bank, ICICI Bank and Kotak Mahindra Bank were also among the gainers. On the other hand, Tech Mahindra, Indian Oil, UPL, Infosys, Wipro, Coal India and ITC were among the losers in Nifty basket of shares. The overall market breadth was positive as 1,406 shares closed higher while 1,287 closed lower on the BSE.